u got any pix of the new exhaust from the back? It's still on the lift. I've noticed some excellent welding here. 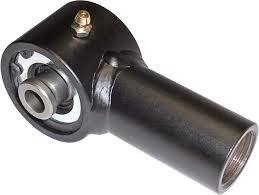 The big jam nut weld to the control arm is an example. Is this also done in the shop? Thanks, but that image is not one of my welds. Looks to be a factory robot weld actually. For those of us that learned on our dad's old stick welder, these new wire-feed mig welders make us look almost like pros. The calculated change in a variable, is more accurate than the magnitude of that variable. So I rans some RSB's with the 28.5 up front, and looked at the front WT bias. You found the weight bias was 61% . Suggested Rear Sway Bar Mount Modfication. When I designed that RSB for my GT-6, I had 5 settings for the bar, as well as the pivot, to keep the hiem link vertical at all settings. I could see that on your M6, by moving the drop bracket for the pivot rearward (to the right in pic below), and adding a spacer under the pivot for the soft setting, and removing the spacer for the stiff setting. I did this sort of thing on the Rx7 rear bar, that has a top mount pivot bracket. I made the metal clamp offset, so it would move the bar fore or aft, based on a stiff or a soft setting. 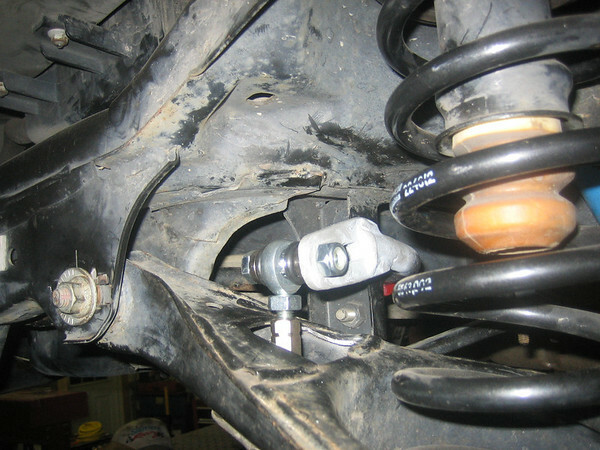 I added to this post, regarding the rear sway bar attachment, and thought it was worth a bump. .... I almost have enough information to finish my spreadsheet for suspension frequency calculations. ! Sounds like another interesting build ! I've seen natural frequencies show up in the literature, and I can verify that it is an important concern, especially if you will street the car. On my 2000 lb race prep'd Triumph, when I hit certain concrete highways where each "block" of concrete had a tiny pitch like a launching ramp (made by haulers), it was like riding a bucking bronko. But, In the 3 years I autox'd the car in the local non-SCCA competition, I won my class the 2nd year and bumped myself into a higher class and won that the 3rd year. From above, we have everything needed to closely approximate suspension frequencies. AFAIK, the frequency method started off with production cars, and then was applied to autox. But these target numbers change depending on the type of car ... rwd is different than awd (suggestions for AWD are in the link below), and they are often back calculated from what has worked in competition. http://www.eng-tips.com/viewthread.cfm?qid=344263 Greg and Brian are Suspension Engineers for a major auto co. I read a bit more and you have target freq's of ~2.4 & 2.2 hz, consistent to what I have read for body motion in autox spring design. But I would assume the target freq's would be higher for a road course racer, like CR. I made a M6 suspension spreadsheet about 8 years ago, based on Fred Puhn's book, but I did not include the nat freq calc. Last edited by KevinK2; 03-17-2014 at 05:03 PM. One thing to keep in mind is that unless someone gives target frequencies for the same or similar car and drivetrain, the numbers will be ballpark. The general published numbers are for just the springs, and don't consider the swaybars that are active as you hit a corner ... bottom line is you still need to tune the bars/springs/dampers based on performance. Canyon, I'm curious how the wheel bearings are holding up on the car and if you've replaced any of them? While replacing mine this past weekend I found something I didn't expect to see; while removing the axles from the hubs there was transfer material, a grey black powder between the splines of the hub and axle. 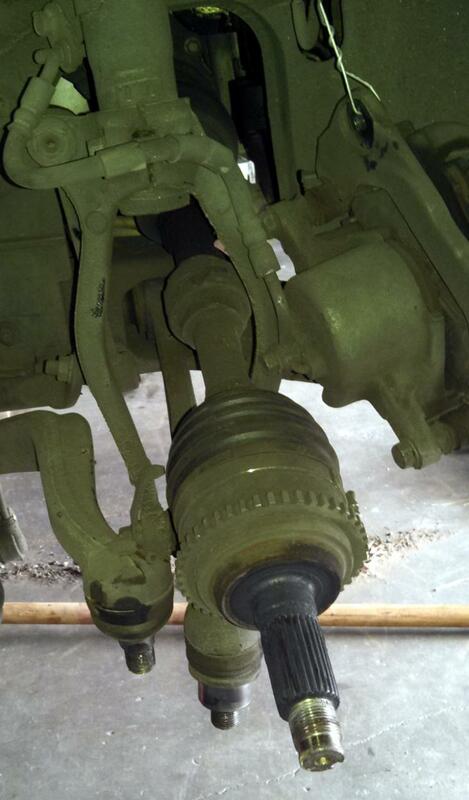 It had nearly seized the axle to the hub on the right side. IMO the tension on the nut was inadequate and allowed a slight movement between the sets of splines. Another observation was the hub itself - you could distinctly see the parting line of the inner race on the hub once the hub was removed from the bearing. 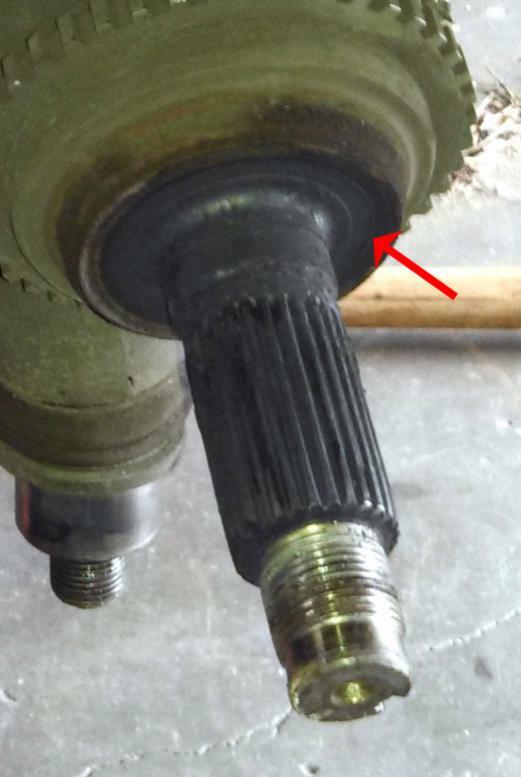 Then if you look at the mating surface of the inner race to the CV joints splines, you see it wore into the surface. See attached pic's. For me these are all signs that these parts are moving on each other. Anyway, I cleaned the hub and axle splines with a wire brush. 90% of all black dust came off. Right wrong or otherwise at 200 ft/lbs but I could feel the nut was not done moving so I took it to 240 ft/lbs whereby I could feel something move and the wrench quit turning as if it actually came up solid. I really don't think its possible distort the inner race so time will tell what happens as its over the max spec by 40ft/lbs. This may seem like a stretch but the car does no dart in the ruts as much as it did and brake pedal is firmer so these are tell tale signs things were moving up front. I put a dial indicator on the hub but w/out the wheel on there, I could not apply enough load to move the needle. Something to keep in mind and good luck this season! Hmmm that is interesting. I replaced all four wheel bearings before the 2012 season. I didn't notice anything unusual. The fronts have held up well, but I suspect I'll be replacing the rears again at the end of this season. One of the rears is showing a tiny bit of play. I slide the rear around a lot. I run my 275s on 18x10s for AutoX, but I'm thinking of dropping back to 245s on my 18x8.5s for the track just to take some of the stresses off the wheel bearings. Heading to the track this weekend, so It was time for an oil change, brake flush and re-torque of all the suspension parts. While I was double checking my Hawk HP+ pads for wear (I only have a half dozen AutoX's on them), I thought: Hmmm wonder how close my 2011 Mustang GT brakes are to fitting? I happen to have a set on the shelf so I checked them out. 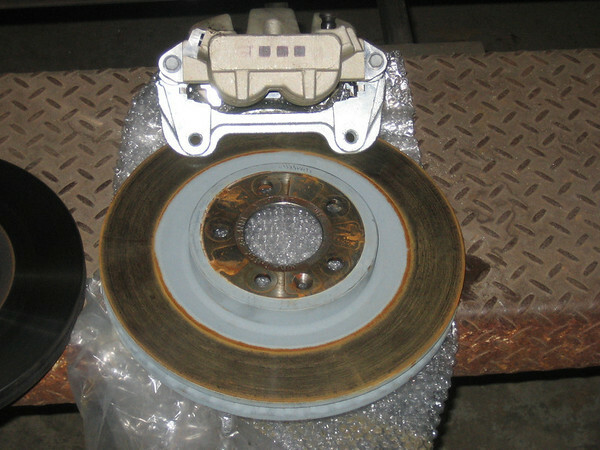 13.22" rotors, two-piston aluminum calipers. 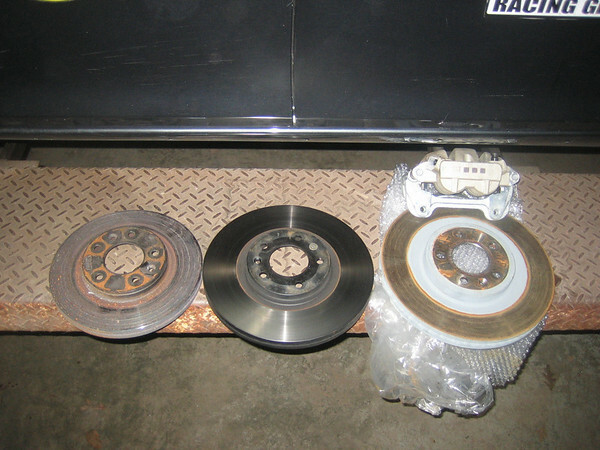 And very reasonably priced - I bought this set complete with rotors, calipers, brackets and pads for $125. They were taken off a brand new GT by a tuner shop. It doesn't look like a very difficult swap. That's just great - another fabrication project. Why can't I leave well enough alone? So after our latest track event I made a list of issues to resolve. One of them is the speed limiter. If you notice from my telemetry, we never get much above 113 - 115mph. The car speedo reads a bit over 120 because I'm running shorter tires than the ECU thinks I have. There have been many discussions in many threads on this subject. There is no wire to clip, no fuse to pull, etc. Vehicle speed is provided by the ABS sensors. The solution to speed limiters on other CAN-Bus cars has always been software. Since there doesn't seem to be tuners lined up to develop ECU software for the 6, we need to think of another solution. So how about this crazy idea: What would happen if we removed every-other tooth from the ABS rings? The speedo would read 1/2. OK - I never look at the speedo on track. The TCS might not work as smoothly. OK - I never use it on track. The ABS/EBD might not be quite as smooth. OK - I might care about this. Maybe the speed limiter would be 240mph instead of 120mph. That would be good!